The life expectancy of a child born today could be reduced by an average of 20 months due to health damage caused by air pollution, researchers said. "A child's health is critical to the future of every society, and this newest evidence suggests a much shorter life for anyone born into highly polluted air," said Dan Greenbaum, president of the Health Effects Institute. "In much of the world, just breathing in an average city is the health equivalent to being a heavy smoker," he added in a statement. 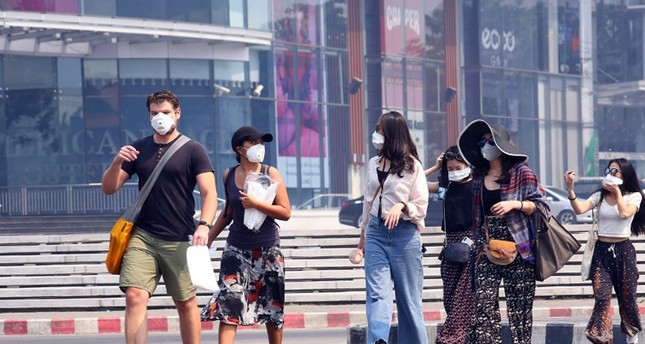 Its conclusions illuminate what "we're seeing more and more of each year" in terms of health impacts stemming from air pollution, said Alastair Harper, head of advocacy at Unicef UK, the British arm of the U.N. children's agency. "Children are especially vulnerable because of the fact that they are developing, and breathe more often than adults," Harper told the Thomson Reuters Foundation. "We have no excuse to stand by and do nothing. It's incumbent on governments around the world to do something about this," he said.